The Moonee Ponds MindBody Centre hosts a range of qualified, experienced and friendly practitioners who cover a wide range of health modalities. Find out more below, drop by our centre to see what’s on offer, or give us a call to arrange an appointment. 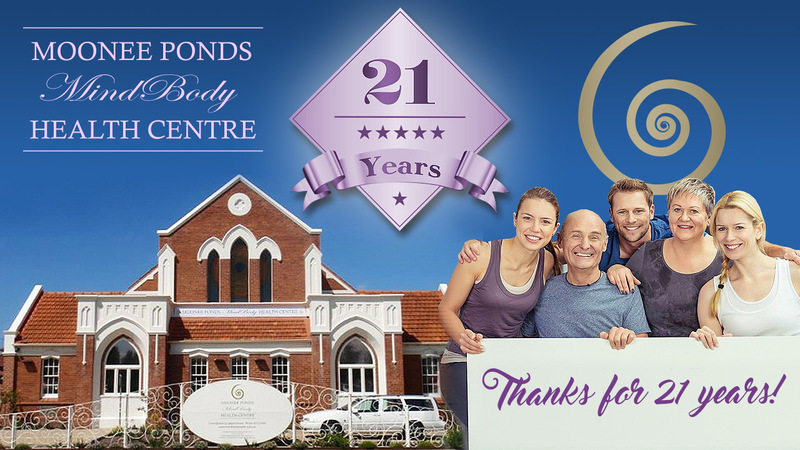 We’ve been servicing the greater Melbourne area for 21 years, delivering heath and happiness to the mind, body and spirit!